of quality construction units provide for actually already very high-quality output voltages. A special attention applied with the development of the noise filtering. improved with a special circuit in the output, which reduces the noise. each section of the voltage supply by inductances in the supply lines. low voltage swing - the result of a long lasting development period. hand soldered with silver soldering brazing. A very complex two-stage filtering on the AC line side. The second stage is discretely developed and co-ordinated with the drive assembly. The transformer we use are small from it’s dimensions but strong and have only a small scattering field. That means less magnetic induction. 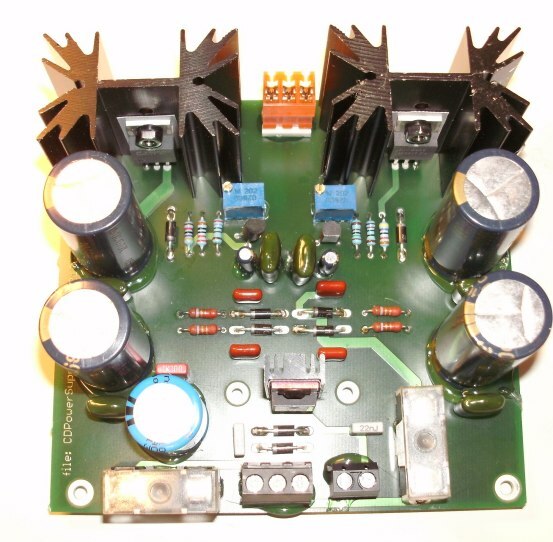 An extremely complex analogue power supply with many innovative details. A very stable supply voltage with extremely low noise and spikes from the AC side. All supply voltages are high frequency-moderately decoupled. All lines are blocked by ferrite cores for high frequency disturbances . The result of these considerations is perfect a voltage supply. All lines are blocked by ferrite cores against high frequency disturbances .